Whether you're growing your own or buying from the supermarket, you might find yourself with more courgettes than you know what to do with this summer. Here are six fantastic recipes to help you beat the glut. Courgettes are one of summer's under-appreciated treasures. We're happy to sing the praises of peas, broad beans and other summer greens, and we go crazy for asparagus when the season begins in late spring, but courgettes get no such fanfare. Perhaps we're too used to seeing them on supermarket shelves all year round, or we have difficult childhood memories of overcooked ratatouille. Either way, it's about time courgettes are given the recognition they deserve as one of the UK's best seasonal vegetables. Versatile and easy to cook, courgettes are at their best during the summer months, from June to September. Look for small, firm courgettes when you're out shopping – giant ones are great for competition growers, but smaller courgettes have better flavour. As for cooking, courgettes are often best eaten raw, with a simple dressing of salt, lemon and olive oil. They can be lightly sautéed in butter or oil, steamed or roasted. In fact, they're incredibly versatile – as long as you don't boil them, you'll end up with something delicious. We've pulled together a few of our favourite courgette recipes from some fantastic chefs and food writers and listed them below – take a look! 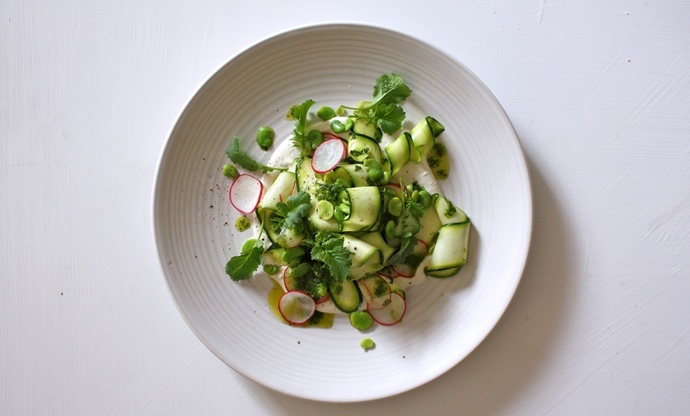 Joey O'Hare pairs courgettes with radishes and broad beans in her bright summer salad, lightly blanching the broad beans and keeping the radishes and courgettes raw. She tosses the whole lot in lemon, sea salt and olive oil, and piles them all on top of a clever vegan labneh, which she makes with cashews, lemon and nutritional yeast. It looks simple on the surface, but there are very smart ideas here. An impressive summer salad. 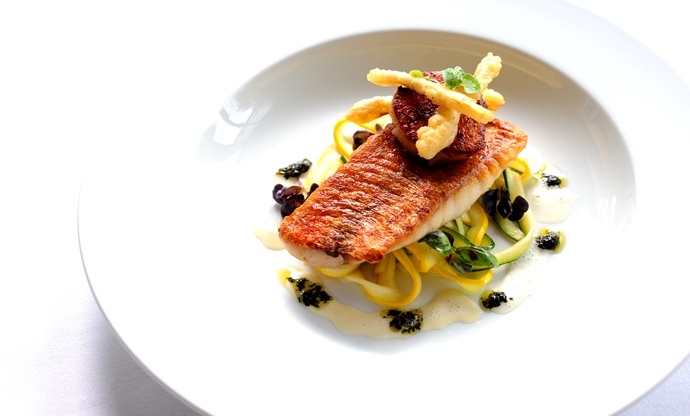 Courgette makes a superb fish accompaniment, especially in lighter summer dishes. 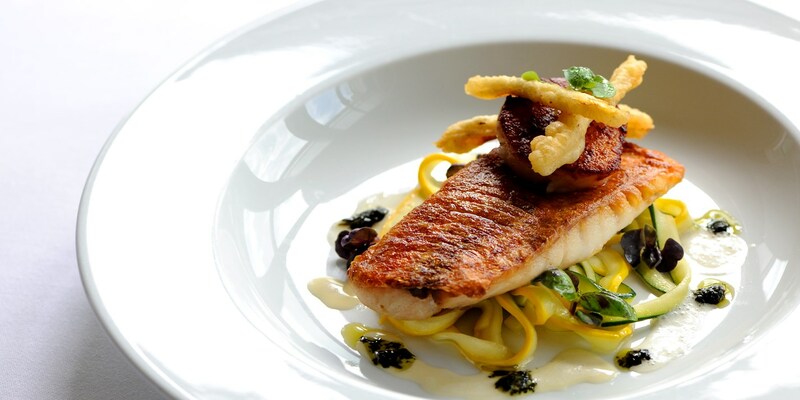 Robert Thompson shreds his courgette into ribbons, blanching quickly and then tossing in butter and seasoning, before serving alongside scallop, red mullet and a fish velouté. These courgette ribbons take a little bit of delicate knife work but they're worth the effort – try making them as a replacement for pasta! Francesco Mazzei is known for many things as a chef, but his zucchini fritti – or courgette fries – are roundly lauded as the best you'll find outside of Italy. The keys to great courgette fries are two-fold – you need matchstick-thin courgettes and hot oil to get this right. Francesco soaks his courgette fries in milk for a couple of hours before coating them lightly in pasta flour and frying in hot oil for a few seconds until perfectly golden and crisp. 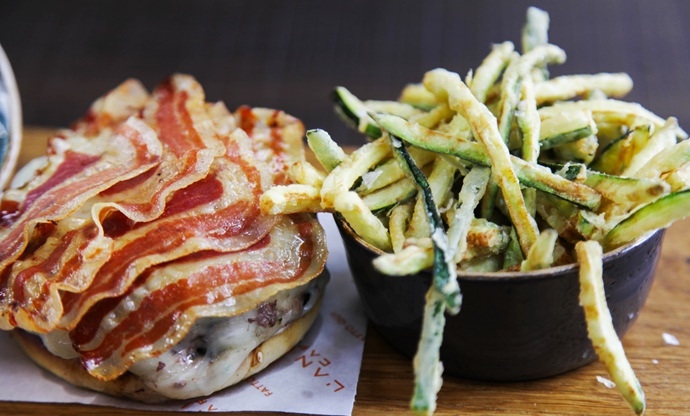 Zucchini fritti are delicious alongside this juicy lamb burger, but equally fantastic as a side to all sorts of dishes. 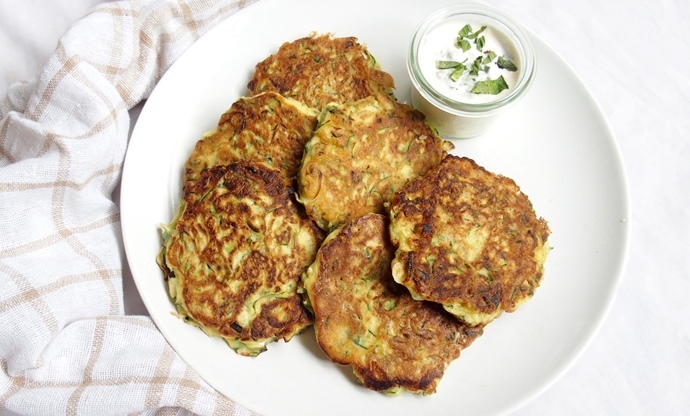 Sally Abé's courgette fritters are a fantastic, easy way of making the most of that summer courgette glut. Sally grates and salts her courgettes – this not only provides some seasoning, the salt also draws lots of moisture from the courgettes, which gives your fritters a firmer texture later on. After quarter of an hour she squeezes and drys the courgette, and mixes with feta, flour, spring onion and egg, before frying her fritters in oil. You can eat these as a simple snack, as a side for a larger meal, or as part of a delicious summer salad. 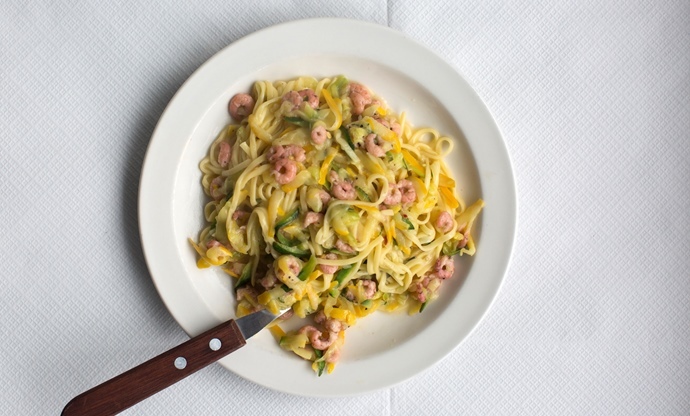 Tim Siadatan's cooking at Trullo is all about simple flavour combinations and respect for ingredients, and his courgette tagliarini is a perfect example of that. Courgette, shrimp and chilli make a delightful mix of light summer flavours, and don't neglect the pasta – make sure to undercook the pasta before finishing it in your sauce to bring the whole dish together. Sneaking vegetables into cake batter is no longer a novelty, but it's still a fantastic way of creating moist, dense cakes. 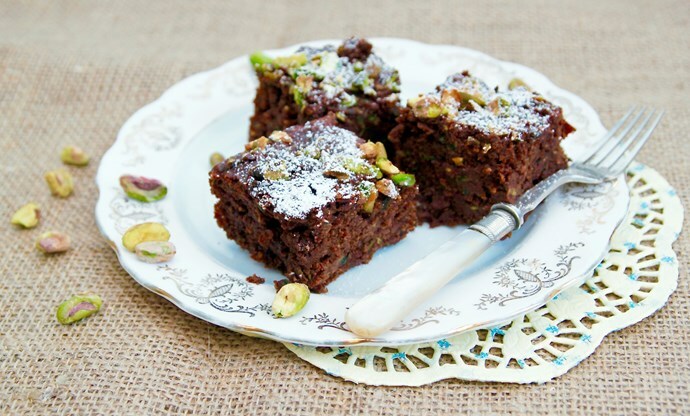 Raw courgette has a very neutral flavour so it remains relatively undetectable alongside the chocolate and cardamom, but it releases plenty of moisture as it bakes, providing a chewy, dense crumb. Scatter over some pistachios for texture and you're done!